Desire 4 Freedom - Blog of Jason Smith UK Independence Party Bradford & District Chairman and the Bradford Coordinator of No2ID. "I admire his professional guile trying to shift the focus on this......"
Let us recall what this 'ennobled individual with the odd title' did when announcing the proposed 'part-sale', or 'privatisation', of Royal Mail in which there was no mention, by him, of the need to meet the requirements of the European Union Directives in respect of competition within the postal market? If only he were able to exhibit 'professional guile' - 'guile' he most certainly does posses, but 'professional'? Having spent his time in the Young Communist League, Lambeth Borough Council and the Labour Party, what professional qualifications does he possess? If truth be known, he is no more than an over-promoted, over-bearing and over-serving bureaucrat? The words 'kettle' 'pot' 'calling' and 'black' spring to mind. The following piece was wrote by UKIP Member Toby Hale aged 16. I often ask myself what is so unappealing about politics? What stops the younger generations actually being interested? There could be endless theories on the matter, but I think I have a few explanations myself. Amongst all ages, there is a complete lack of understanding of UK politics. Lack of understanding in large numbers can lead to two things. * Those people will never bother to vote. * Those people will blindly vote for a party for any reason possible. British politics is actually not as complicated as people might think. The only complication is that we, the public,do not seem to be offered an alternative opinion. Day after day we hear about the three main stream parties plastered on the face of the media. The truth is, we're being offered the exact same polices from each party. The Liberal Democrat, Conservative and Labour Parties all want us to stay in the European Union, which means that we, the people, cannot decide what is best for us and what isn't. A recent poll showed that 64% of British citizens want a different relationship with the European Union. If the main stream parties believe that the United Kingdom should stay in the EU,it is hardly serving in the interest of the public at all. It is a known fact that over 75% of our laws are now written in Brussels. Are we happy to continue having all the major decisions made for us in another Country? Or is it time we became independent and have a self-governing democracy? It has been proposed that every citizen in the UK should have a national ID card to fight terrorism. Is this really the correct way to fight terrorism? The simple answer is ,no. This is another irrelevant and inefficient government scheme. Some will even say it's an infringement of our rights. For example, do you know that from March 2009 the government will store all emails we send? Is it fair that the taxes we pay contribute to monitoring ourselves? Is it fair that taxes we pay will contribute towards large governmemt spending schemes, such as the 2012 Olympics, where jobs will go to more foreign workers than British workers? Is it fair that the EU is trying to force the Constitutional treaty upon our nation without the consent of the people? I shall not try to force an opinion down your throat- I will leave you to decide for yourself. It is very clear now that our voice is being ignored by the European Union. We currently have a completely open immigration system, where anyone that lives in a country inside the European Union can come and live and work in the UK. We cannot even control our own borders. Once a law is passed in the European Union, there is not one single person in England that can refuse that law. We have no say on the subject whatsoever. It is also believed that the huge drop of voters is due to people thinking that their vote will not make any difference. Let it be known that your vote can make a difference. Your vote will make a difference! It is time to let the people know that there is an alternative! UKIP offers a completely different manifesto to Labour, Conservative and Liberal Democrats. UKIP proposes a withdrawl from the entangling European Union. UKIP offers a work permit system to control the amount of migrants we have. UKIP believes in self-governing democracy and will restore the power back to local governments. UKIP will never tell us, the people, what to think! The UK Independence Party. The Part of Freedom, Independence and Democracy. What made you join UKIP? The first time I was old enough to vote was in 2001, when I was 20. The Labour, Lib Dem and Conservative Party didn't deserve my vote and I was desperate to find a realistic alternative. One day I happened to meet some UKIP activists running a stall in the centre of Shrewsbury, of all places! I agreed with them on the EU but I wanted to know about all the other issues. I went home, read the manifesto and agreed with it. I signed up, but there was just one UKIP candidate selected for six Sheffield seats at that election and none in my area. I was too young to stand (the limit was 21 then), so I persuaded my Mum, Dad and girlfriend and two other friends to stand and we filled all six seats. How are you finding the role of General Secretary so far and what does your role generally see you doing within the Party? It's great fun but also a huge challenge. With this job I don't think it's possible to ever clear the in-tray. No matter how many hours I put in,there's always something left over to do! The first thing I did was to set up the new UKIP members forum at www.ukip.org.uk If we can get members communicating with each other, they'll feel part of a team and able to share campaign ideas. A lot of my job is admin and dealing with the publiuc, Party members and branches- and that can be answering questions, resolving disputes, dealing with complaints or persuading members who are upset to give us another try! I now take the minutes at the NEC meetings. Next we need to make more use of email to keep Party members informed of what is going on in UKIP. As a free way of publicising UKIP, I'm planning to produce an e-flyer which we can email to all members and ask them to forward it to any friends, family and colleagues who might be interested in UKIP. In what ways do you believe UKIP's policies are relevant to young people? Young people are less likely to go out and vote so they're often accused of not caring about the Country. Nothing could be further from the truth; they care about issues more than Party politics. We have the perfect policy for that! We believe the public should be trusted to decide key issues in a referendum. Let's start to trust young people. Let's give them a chance for their vote to make a real difference! What role do you see Young Independence having in the Party? The first time I spoke at Conference I was 21. There were only two other members there under the age of thirty. Today, we have an immensely talented set of young people coming through the Party. I want to see YI bringing fresh drive and enthusiasm to the Party, new ideas and a real sense of purpose. You yourself gave a fantastic speech at the Party Conference in Bournemouth, but what were your highlights? Firstly, hearing Bob Spink for the first time. Who'd have thought a year ago that we'd have a UKIP MP addressing conference? Secondly, I realised just how much influence YI now has within the Party. We now have the Party Chairman, General Secretary, NEC member, PPC's and six candidates for the 2009 European Elections 2009 as well as an impressive array of public speakers who really stole the show. How do you think UKIP can build upon our success in 2004 in this year's European Election? A report by the European Commission has recommended that the banking systems in EU member states should be supervised by an EU-side regulator. The report says that the banking system is too complex for national supervision and recommends that an EU organisation should be set up to supervise all the national banking systems at the same time with more involvement from the EU Central Bank. There is no indication as to how a single body supervising the financial systems of 27 countries, all with their own rules, regulations and priorities is less complex than the 27 countries having their own financial services regulators supervising their own financial systems according to their own national laws and priorities. The reason is quire simple, of course - the European Commission doesn't really believe that a pan-EU financial services regulator will be efficient, it's just using the recession as an excuse for a power-grab. If the EU wants to set up a financial regulator, they should start by regulating their own finances. Maybe then they'd be able to get their own in-house auditors to sign off their own accounts instead of writing them off as fraudulent every year. The Socialist Party has used the PCS union to indulge in a bit of hypocrisy. Their website has an article written by the chair of the PCS Wales union complaining about UKIP "using" a march by the GMB and Unite unions for Welsh jobs for Welsh workers. The Socialist Party and PCS Wales is "using" the march itself to attack UKIP and defend the EU legislation that has caused the march in the first place! About 200 Unite and GMB members from power stations from across South Wales marched for jobs through Cardiff city centre on 21 February. This included a number of unemployed members. The stewards were very clear that they were demanding that trade union agreements should be adhered to and opposed the bosses' attempts to undermine these agreements. On one contract the unions negotiated the same terms and conditions for all the workers, including 30 Polish workers. This shows the real potential of trade union organisation and action. Disgracefully, UK Independence Party (UKIP) members turned up to try to exploit some of the biased media coverage over migrant workers. But they got short shrift from the trade unionists. The speakers at the rally correctly criticised the opportunist approach of UKIP and the far right parties in Europe, who always oppose any legislation to protect or enhance workers' rights. Any attempts by employers to divide and defeat the working class need to continue to be robustly challenged to take the movement forward. The article also uses a technique that we're seeing more and more often - talking about UKIP and "the far right" (meaning the BNP even though they're left wing) in the same sentence as if they're one in the same. UKIP Cardiff turned out in force today to support the workers. Every single attendee at the march was spoken too and accepted an ' enough is enough' leaflet, the response was 99% positive from the workers and the only two objections on the day were from one guy who was immediately taken to task by his 3 companions who told him to belt up and that UKIP were the only party who had turned up to support them. The only other objector was the full time official from Unite who had given two of our ladies who had turned up early a hard time, rest assured that when a another UKIP member turned up the objector soon learnt of his capacity as a GMB member and union official he was torn off a strip in front of those gathered including the BBC reporter present and walked off with his tail between his legs. The strikes are set to resume and organised by ordinary workers outside the unions remits, the tqwo faced unions are only belatedly making a sham show of support for their members because they have been left behind by their members who are disgusted by their two faced hypocrisy. UKIP Cardiff have already been involved in the Aberthaw power station strike and recieved a similar warm response from the workers. I would love to have been a fly on the wall in Simon Murphy’s office today when he got the call from Telford & Wrekin Council announcing that they were leaving his city region quango with immediate effect. You either don’t know what the city region’s plans are or you do know and either don’t understand or don’t care. Whichever it is, we should not be a part of this. You have plenty of soothing words about how you don’t like it but you want to make sure we don’t lose out if we leave and how the city region doesn’t have any real powers. But soothing words are worth nothing because the city region will have statutory status, it will have a legal personality, it will be allowed to apply for its own money, it will be allowed to enter into legal contracts and it will be able to make statutory policy that Telford will have to abide by. This is nothing like the benign organisation that you and others have told us the city region is. So what’s the truth Andrew? You don’t understand the city region or you’ve been lying about it? Councillor Eade told the Shropshire Star “I’ve always said we would stay in the City Region to try and maximise any benefits to our community”. He hasn’t always said that - prior to the last local election he said that he would pull Telford out of the city region if the Tories won. It’s taken close to two years and a lot of back-tracking for him to put his words into action. Maybe the timing is a co-incidence, maybe the email I sent played a part in the decision to leave. Either way, it’s a big victory and further proof that Greater Birmingham the City Region of Birmingham, Coventry & the Black Country really isn’t going to turn the West Midlands into the land of milk and honey. Here, in West Oxfordshire, we have just received the latest (Spring 2009) edition of 'Creating Futures', the PR 'comic' from West Oxfordshire District Council. "As waste decomposes at landfill sites it releases carbon dioxide and methane gases. Both these gases contribute to global warming. There is also a land shortage for landfill sites. For these reasons it is essential to keep recycling." This is, in fact, blatant propaganda as the following will show. We already have the technology to extract and utilise methane from landfill. This is well documented and the New York Times carried an article on the use of methane gas, to create electricity, in a number of US states on 13th September 2008. Last June, through pages accessed on the DEFRA and the UK Minerals Year Book websites, both of which are no longer 'available' but of which paper copies exist, this is the position with regard to landfill capacity in this country. We quarry about 260 million tonnes (mt) a year of land minerals, mostly limestone, granite and sand and gravel, plus 9mt a year of opencast coal. In terms of volume, that equates to new holes with a capacity of about 110 million cubic metres (mcm) a year. Our existing licenced holes have a capacity of about 700 mcm. We produce less than 100mcm of waste and refuse a year. The system, as scientists would say, is therefore in equilibrium. The 'crisis' has been created artificially by a combination of EU blind stupid regulation and the Labour government's cupidity. Tyres, for example, are now classed as 'hazardous' waste in the same class as hospital waste and strange glowing chemicals. Artificially witholding waste disposal licences from perfectly suitable holes in the ground creates an artificial shortgage. And the government have not only imposed an aggregates levy that taxes minerals coming out of the holes but a landfill tax that taxes waste going back in to fill them up. It is also worth noting the following by the CLG Select Committee in the opening paragraphs of their report 'Refuse Collection'. "Yet the strength of reaction that rubbish inspires may seem disproportionate to its true significance. Municipal waste collection in England accounts for less than one tenth of all waste: the rest comes from commerce, industry, mining, quarrying and construction (in all of which sectors, it is fair to say, recycling rates are higher than for municipal waste). Once the commercial waste that some councils collect is removed from the municipal total, the household component - what we put in our domestic bins, bags and boxes - is only around 7 percent of the nation's waste. The efforts of the past decade may have quadrupled the household refuse recycling rate, but it is rarely pointed out that this equates to less than 2 percent of the resources in the nation's total annual waste stream." So a little more factual information from government generally and a little less propaganda might be in order? 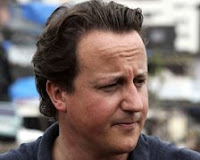 Cameron: A sheep in UKIP’s clothing ? Earlier this week ''Call me Dave'' Cameron who likes to promise everything and anything to everyone outlined some of his new policies on English MP's dealing with English issues, Elected Mayors, local referendums on local issues including Council tax. Being busy I didnt notice his announcement untill a few days after he made it, to late to blog on grrr I thought ! The reason I was going to blog about these new policies was because he seemed to have taken them from UKIP's manifesto from the 2005 General Election (See section 9 Local Governance for more details) and from UKIPs 2008 local Elections manifesto which can be found here cheeky chap isnt he ? I was going to leave it without blogging on the matter but today I read the Conservatives have launched the Save the Great British Pub campaign. Wait on a sec didnt UKIP launch this campaign a few weeks back ? along with their new pub policy. Unlike the Conservatives Pub Campaign, UKIPs is alot more than just a internet campaign over the next few months UKIP will be delivering over 150,000 Save the Pub beer mats . Putting up thousands of posters and printing thousands of paper petitons . All the above will run alongside special Save the Pub Public meetings.We are actually serious about it unlike Dave who just wants to score some brownie points. But who can blame Cameron for stealing UKIP's policies when recently the Goverment looked into borrowing UKIPs Tax policy. Now it looks as if the Greens have cottoned onto our energy policy and come over all nuclear. It is obvious UKIPs policies are popular but when will one of the big two adopt UKIPs most popular policy which over 80% of the electorate agree with ''Taking Britain out of the EU'' ? Nearly two years ago a film was released entitled 'Taking Liberties', relating to the loss of liberty that the peoples of this country have suffered since 1997. Released to coincide with the departure of Tony Blair, this is a documentary that charts the destruction of all your Basic Liberties under 10 years of New Labour. This film is now being shown once again in selected cinemas, however courtesy of Google video, you can watch it here. Congrualtions to Rachel and Alan who have been re- elected to their posts. Those in bold have been elected . Positions 1 to 4 got a full term on the NEC (3 years), 5th position only gets 2 years, and 6th gets 1 year Well done to everyone who stood. Talking about UKIP and the Independence and Democracy Group with which it sits in the European Parliament. Also discusses UKIPs Global and Free trade view -but the urgent need for a work permit system and not Free movement of Labour..
MEPs deaf to ideas not theirs? 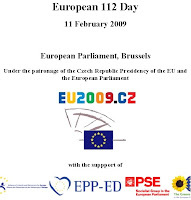 At a meeting of the European Parliament today, 19th February, MEPs inculding the Labour Party booed a speech by Vaclav Klaus, President of the Czech Republic, walking out to show their disgust. Yet this speech has been described as one of the best speeches ever given in the European Parliament, one that called for real debate over the meaning of Europe and the European Union. An example of the reaction to this speech is Avril Doyle, a particularly fine example of Euro-MP mindset, who attacked President Klaus, her voice trembling, for trying to influence a second Irish referendum (although it is now heard from parliament staff that she was objecting to leaflets not the speech) . Other reactions to the speech can be read here. The text of Vaclav Klaus' speech can be found here and the reaction of Nigel Farage, leader of the UK Independence Party, to the walk out can be seen here. Also one from Goddersvision. "There cannot be anyone left in this country who believes Gordon Brown's pledge of British jobs for British workers. This shows the continuing failure of the Government's immigration policy. A Conservative Government would introduce an annual limit on work permits for people from outside the EU. That's the only way you can get some control into the system." However, there was no comment forthcoming from a Conservative spokesman on a new MigrationWatch study also published today, which shows that there are up to four times the number of EU workers employed in the UK as British-born workers employed in the other 26 countries of the EU. According to its research, 286,000 UK nationals are working elsewhere in the European Union, whilst 1,172,000 of those born elsewhere in the EU are now working in the UK. I gather that the party opted not to comment on this study on the basis that it has no intention of trying to change the EU rules on free movement of labour." Two points worth noting: firstly, the fact "it has no intention of trying to change the EU rules on free movement of labour" , coupled with Damien Green's assertion that "A Conservative Government would introduce an annual limit on work permits for people from outside the EU. That's the only way you can get some control into the system." demonstrates that (a) The Conservative Party acknowledges it has no control over immigration and is beholden to the EU and (b) it stands as much chance of changing said rules as the electorate has of David Cameron admitting that, as Prime Minister, he will not be able to govern on behalf of the people who elect him and who pay his salary, allowances and expenses! When can we leave - please? Telford got its second UKIP parish councillor the other day after outgoing Telford & Wrekin branch chairman, Ray Knight, was co-opted onto Hollinswood & Randlay Parish Council. 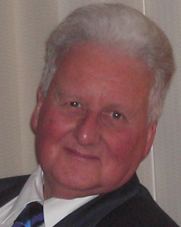 Ray contested the last borough council elections for Hollinswood & Randlay and narrowly missed out on getting elected. When a vacancy became available on the parish council and nobody asked for an election, Ray applied for the vacant seat and was co-opted onto the parish council on Monday. The Government has confirmed in an answer to a written question by UKIP's MP, Dr Bob Spink, that the people of Suffolk and Norfolk are to be denied a referendum on any proposals for unitary reorganisation. John Healey, the Secretary of State for Communities and Local Government said in a written answer: "We have no plans for local referendums on any proposals for unitary local government in Norfolk and Suffolk." David Campbell Bannerman, UKIP's Deputy Leader and Prospective Parliamentary Candidate for Suffolk South as well as the Party's Lead Candidate for the forthcoming European Election said: "The proposals for unitary authorities in Suffolk and Norfolk represent a massive shift in local democracy. It is scandalous for the Government to be considering such a dramatic change without consulting the people who live in those counties and who use and pay for local services through a direct vote. "This is top down government at its very worst. It shows contempt for local people who would have their local authorities such as town, district and borough councils abolished and replaced by much bigger, more remote unitary authorities, which would have little or no idea about local priorities. "UKIP vigorously opposes this dictatorial approach, which shows contempt for democracy by an ever more out-of-touch political class. With the Government's shambolic, so-called consultation having run into legal trouble, there will now be no decisions made before 15th July, instead of the promised 13th February. This gives voters the opportunity to make their views known in the county council elections in June. "UKIP believes in local referendums on this and any other major issue that people are concerned about in the areas where they live. A mechanism to make that possible will be included in our manifesto. Democracy belongs to the people and we abandon it at our peril." The Oxfordshire Branch of the Pro EU European Movement is organising an "Any Questions" evening for South East European Parliament candidates in Oxford this Friday. Sparks are expected to fly as candidates from five political parties compete for support in this Open Public meeting, answering questions from the audience which they have no notice of. Keeping order will be the branch president, Lord Hurd of Westwell. Douglas Hurd was Conservative MP for Witney and British Foreign Secretary for many years, and is a well-known supporter of the European Union. The members of the panel will be: Richard Ashworth MEP (Conservative) , Catherine Bearder (Lib Dem) , Philip Vander Elst (UKIP) , Dr Derek Wall (Green Party) ,Labour have promised that they will be providing a "heavyweight" to participate in the event, but have yet to provide a name.The meeting starts at 7.30 p.m. in the Maison Francaise, Norham Road in North Oxford. 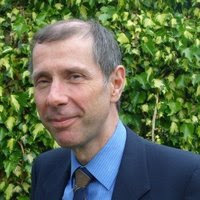 Richard Ashworth was elected to the European Parliament in June 2004 to represent the South East of England (he was also a candidate in 1999). He was a dairy farmer in East Sussex for over thirty years and during this time operated his own dairy business. He is currently a member of the European Parliament's committee on budgets and is Conservative Spokesman in this area, his secondary committee is employment. Catherine Bearder is an Oxford resident, has served as an Oxfordshire County councillor and a Cherwell District Councillor, and has stood as a parliamentary candidate in both Banbury and Henley constituencies. Having travelled the world studying conservation issues with her husband Simon, a professor at Oxford Brookes University, Catherine puts prime emphasis on tackling climate change.She is number two on the Liberal Democrats' list for the South East in the June elections. Philip Vander Elst is a freelance writer and lecturer who has spent nearly 30 years in politics and journalism, and is now a colleague of Richard Cunningham’s at Areopagus Ministries. After obtaining his Philosophy and Politics degree at Oxford University, where he was also an officer of the Oxford Union Debating Society, he worked at the Centre for Policy Studies, the Institute of Economic Affairs, and edited the political journal Freedom Today. He has written widely on political, philosophical, economic and religious subjects for papers on both sides of the Atlantic and has been a visiting lecturer at many American universities and colleges. He is the author of a recent Bruges Group paper on The Principles of British Foreign Policy. He is the No.4 UKIP MEP candidate for the South East Region. Dr Derek Wall is an experienced Green political campaigner, published author and journalist. He was Male Principal Speaker of the Green Party of England and Wales. He describes himself as an eco-socialist and stresses the importance of combining electoral politics and non-violent direct action (NVDA) to effect change.Green Party. UKIP have chosen to officially launch their European Election campaign at the West Country rally on Saturday the 18th of April 2009 in Exeter University. UKIP have chosen the West Country UKIP rally as the launch event for their National Euro-Election campaign. This launch will be held at the Great Hall, Exeter University, Stocker Road, Exeter, Devon, EX4 4PY. Full details and speakers to follow soon. This is a not to be missed and especially important in election year so put this in your diary now. If you would like to get involved & help UKIP during the Campaign please get in contact now. EU Debate , Live from Talksport radio at 10.00 p.m until 1.00 am. Guests are Nigel Farage UKIP Leader and Claude Moraes Labour MEP. It should be a massive debate with the guests live in the studio. This is your chance to get your oar in, ring the show early if you want to get on. There is an audience of over two million so worth a try. Claude Moraes MEP was elected to the European Parliament for London in 1999 and again in 2004 where he led the London List of candidates. He was one of the first Asian MEPs and London's first ethnic minority MEP. He is Labour's spokesperson on Employment and Social Affairs and a member of the Justice and Home Affairs Committee. The Hartlepool Branch of UKIP are holding a Quiz Night on Thursday 26th February 2009. The Venue will be the Hartlepool Cricket Club and the evening will start at 8.45 pm . Tickets are £1.50 each which includes a free raffle and a light snack. All Members and supporters Welcome. Tickets can be bought in advance or you can pay on the door but it would be helpful to know in advance anyone who intends coming to the quiz. 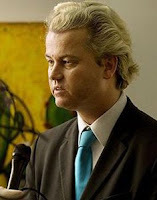 Dutch MP Geert Wilders was refused entry to the United Kingdom on Thursday afternoon. Wilders had been invited by Lord Pearson of Rannoch, a UKIP peer in the House of Lords, and crossbench peer Baroness Cox. Wilders's controversial film, Fitna, was due to be shown at the public meeting in the presence of a few people concerned by the threat of Islamic terrorism, plus invited media. Second, anyone who has seen the film must surely agree that it does not incite religious hatred. Offensive it may be to many, but that is not a ground to call for its author to be banned from putting his point of view. If everything that is potentially offensive is banned there will not be much that we could talk about. That is the danger of proposals to outlaw offensive material. In reality, would not such laws be useful for one side to censor the other side of a debate? “The Home Secretary made a decision an individual case as she is required to do. He was invited to screen his program … which includes – his film – which includes extreme anti-Muslim hate. And we have very clear laws in this country. We have profound commitment to freedom of speech borne over hundreds of years. But there is no freedom to cry fire in a crowded theater. There is no freedom to stir up hate, religious and racial hatred according to the laws of the land. And what the Home Secretary did is follow the laws of the land [...] He applied to come and screen his film. And the Home Secretary made a decision on that case given the hate filled nature of that film. Q. Freedom of speech issue though isn't it? The man who invited him calls it appeasement. He means appeasement of radical Muslim parties and factions in this country, who would undoubtedly would have made a big noise about it, but we are now appeasing them by stopping the man from even entering the country. Q. Have you seen the film? A. No I haven't seen the film. Q. Well how do you know what precisely what the film is like? How exactly can David Miliband “know precisely” what is in the film if he hasn’t seen it? Shouldn’t the Foreign Secretary take a more scientific approach to this – look at the evidence and base his decision on the evidence? UKIP does not campaign on an anti-Islam ticket and, so far as I know, the initiative was that of Lord Pearson and Baroness Cox. But, once it becomes an issue of free speech, and so long as there is no incitement to violence, the right of Geert Wilders to put his views should be upheld. UK Independence Party are pleased to announce that they are organising and sponsoring the above two-day event at Silvermere Golf Complex in Cobham, Surrey.The event is being held in a superb venue, the top floor of the Inn On The Lake at Silvermere Golf Complex in Cobham, Surrey. There will be a Fashion Show from 8-9pm, showing the ’2009 Summer Collection‘ of Clothes, Hats and Accessories. The event will have an area for work by emerging young artists who are studying at College or University. Tickets -Sold in advance online here for £10.00, or on the day at the venue for £12.00. Galleries and dealers are invited to book stalls in this prestigious event. To add variety to the event, each stall should display original work by at least 2 artists. Galleries are able to exhibit paintings, sculpture, photography and limited edition prints; all artists must be living; all work must be original and priced under the ceiling of £2,000. Mike Nattrass UKIP MEP and UKIP's Transport Spokesman today attacked plans by the European Union to put more pressure on the beleaguered road transport sector. "The new version of the Euro - vignette would be a catastrophe for the HGV sector and the British economy. To be putting extra costs onto transport at this time will just ramp up costs when the wheels are already coming off the economy", he said. The plan, spearheaded by Belgian socialist MEP Saïd El Khadraoui is to specifically tax air and noise pollution from trucks. "But", says Mr. Nattrass, "a CO2 tax is completely unnecessary as it is already factored into fuel duty. It is blatant double taxation. Worse still they leave no option for the operators, they are completely boxed in by this. Why does the EU see it as its role to punish the few remaining businesses without giving any alternate solution. Don't even try and suggest canals, you try and dig them through the Alps"
"Another crazy idea from Europe. How can you apply a congestion charge to Trucks? If you succeed in forcing trucks off the road, you have empty shops or the haulier has to pass on the costs to their customers. So really it is a tax on industry in the middle of a recession!" The report can be found here , It was voted on in the Transport Committee of the Parliament today. West Midlands Regional Dinner with the party leader Nigel Farage MEP and local MEP Mike Nattrass + Guests. Three course sit down meal and coffee. 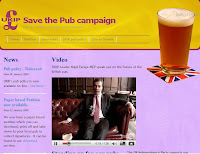 To raise funds for the West Midlands UKIP ''EU Election'' campaign. Please join us for an enjoyable evening on Friday 20th February 2009 7.30 for 8pm Feel free to bring a friend- I'm sure Nigel will be on top form! Declan Ganley is a man used to ruffling feathers. He is also used to success and therefore will not be pleased to learn that his proposed pan-European political party, Libertas, may have fallen foul of European bureaucracy at its inception! Ganley has become a big name in politics after successfully leading the Irish 'No' campaign against the Lisbon Treaty. He has since made it clear that his ambitions do not end there. 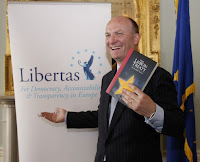 Ganley announced that he intended that Libertas would contest the European elections in a large number of EU Member States on an anti-Lisbon Treaty platform. However it now appears that the funding Libertas were hoping to access through registering themselves as a pan-European party could be in jeopardy. On Thursday 5th February it was announced that two of the signatories, a Bulgarian MP and an Estonia MP, have denied signing up for that purpose. As a result the European Parliament’s administration has been requested to look into the issued by contacting all the European, national and regional law-makers whose signatures were submitted by Libertas to verify whether they signed with the understood purpose of forming a pan-European political party. Until confirmation of Libertas’ status is acquired all funding available to them as a pan-European party will be suspended. With less than four months until the European Elections this hick-up could not have come at a worse time for Libertas. If it is not resolved rapidly (has anything ever been resolved quickly once ensnared by EU red-tape) it could seriously damage Libertas’ ambitions. Only time will tell as to the impact this incident will have; however, without doubt it is an inauspicious start! Eurosceptics from all around Eupore are looking to Germany's highest court today for an opportunity to scupper the Lisbon Treaty. The judges are hearing a case on the constitutionality of the project. Should the Federal Constitutional Court rule it unconstitutional, it may provide a roadblock too large for the controversial treaty to overcome. Lets hope this will be the death of the Lisbon treaty, but three countries have already said 'no' so there's no telling what they'll do. "It would put a spanner in the works , Says Gawain Towler, the UK Independence party's South West MEP candidate. "One would say it's hard to see it continue but so far votes haven't stopped them so why would a court stop them? "I can't imagine the EU institution would let it lie. They would find a way. "Theoretically it should scupper the whole affair but I can't see them accepting that. Pressure would be brought to bear some way or another." German chancellor, Angela Merkel, a vociferous supporter of the treaty, appears to be taking the challenge very seriously, sending both her vice-chancellor and interior minister to court to argue the government's case today. The treaty has been approved by Germany's parliament and signed by the president, but will not be ratified until a decision is made on this case, which may take two or three months. "The environment minister fails in the German parliament to have light bulbs banned in Germany as they are harmful to the environment," wrote Mr Gauweiler. "Next, he brings the initiative to the European Council where it is supported by ministers from other countries and becomes a European Commission directive." He said that under the treaty this would then have to be incorporated into German law despite being rejected by the German parliament. The treaty must be ratified by all 27 EU member-states to come into force but has been bogged down in Poland, Ireland, the Czech Republic and now Germany. Ireland has been bullied into holding a second referendum later this year, the first ending in a 53-47 percent 'no' vote, after concessions were made on issues of special concern to Ireland. But there is hope the Polish president has said he will not sign without an Irish 'yes' vote, while the Czech president has said he will delay signing the treaty for as long as possible. We wish them good Luck. Marta Andreasen, the European Union’s former Chief Accountant who was famously sacked by Neil Kinnock for refusing to approve the EU’s accounts because they were not properly prepared and wide open to fraud, will be in Norwich on Wednesday (11.2.09) for talks with local businesses and to give a speech at a fundraising dinner for the UK Independence Party, in Reepham. Ms Andreasen is also standing for UKIP in the South East, at the European Election later this year and may well return to haunt the EU. On Wednesday evening, Ms Andreasen will be joining local businessmen and key players from UKIP, including the sitting MEP for the East of England, Jeffrey Titford for a fundraising dinner hosted by Sir John White at his home in Reepham. Also present will be UKIP Peer Lord Pearson of Rannoch and prospective MEP candidate Stuart Agnew. CLEAN SWEEP FOR UKIP IN NORTH WALSHAM! SWITZERLAND VOTES today in a closely fought referendum on whether its current bilateral relations with the European Union have a future. What began life as a vote on extending free movement of labour agreements to the newest EU member states, Bulgaria and Romania, has been linked by parliament into an all-or-nothing vote on relations with the entire bloc. Unlike the aftermath of Ireland’s No to the Lisbon Treaty, EU officials say a Swiss No today would automatically terminate half a dozen other linked bilateral treaties agreed between Brussels and Berne in the last decade, covering everything from lowering trade barriers to managing alpine traffic. Traditionally opposed to full EU membership, Swiss voters agreed in 2000 to a collection of bilateral agreements with Brussels. A seven-year deal allowing EU and Swiss citizens mutual residency and working rights was up for renewal by referendum this year. After a lengthy and heated debate, parliament took the controversial decision to link that vote to another pending vote, on whether to extend current bilateral arrangements with the EU to Bulgaria and Romania. Pro EU politications fearing of a back lash have called the move an abuse of Switzerland’s famous system of direct democracy, where citizens vote in regular referenda to decide public policy. All main political parties bar one have campaigned for a Yes vote. But convincing voters to open their country’s borders to two of Europe’s poorest countries hasn’t been easy, particularly in these uncertain economic times. The main opponent of the referendum, the Swiss People’s Party (SVP), says that letting Romanians and Bulgarians into Switzerland will drive down wages and increase unemployment among Swiss workers. The party, led by industrialist Christoph Blocher, is notorious across Europe for previous referenda poster campaigns. This time around, posters show black ravens tearing strips from the flag this will no doubt have a effect on voters like previous posters have. The effectiveness of the party’s poster campaigns is disputed: they have not yet swung a referendum in the SVP’s favour, but political analysts say it boosts the partys support. Leading EU officials have made is plain clear that snubbing its two newest member states is not the best basis for the start of a new relationship. If the referendum passes, officials on both sides are expected to upgrade current ad-hoc relations to a more formalised framework that will grow with new legislation and regulations. The proposed new framework could cover everything from agricultural free trade to the conditions under which Swiss troops would automatically participate in EU-led peacekeeping missions. Brussels has made it clear the Swiss can not pick and choose EU policies - rejecting free movement could threaten those crucial free trade ties.Switzerland may not be in the EU, but it needs a good relationship with Brussels as one in every two Swiss francs is earned through trade with the EU, and one in every three Swiss jobs depends on that trade. Most entertaining, especially the "My mummy cries because the government says I have to tell her she's going to die" bit. I'm an anti-smoker and spent most of my childhood trying to convince my family to give up smoking but I do have a problem with the way the British government keeps using children for propaganda. It is ten years since the UK Government introduced a system of regulatory Impact Assessments, in an effort to get a grip on the flow of new regulations. Analysing more than 2,000 of these Impact Assessments, Open Europe found that regulations introduced between 1998 and 2008 have cost the UK economy £148.2 billion. Of the cumulative cost of regulations introduced over the past decade, £106.6 billion, or nearly 72%, had its origin in EU legislation. EU regulations introduced since 1998 have therefore cost the UK economy almost £107 billion - far more than the UK's total gross contributions to the EU budget over the same period. Moreover, the study finds that the cost of regulation is going up all the time. Since the UK Government launched its 'Regulatory Reform Agenda' in 2005, the annual cost of regulation in Britain has gone from £16.5 billion in 2005 to £28.7 billion in 2008 - an enormous increase of 74%. The report argues that despite some genuine attempts at reform, the Government has simply lost control. With 72% of the cost of regulation stemming from laws negotiated in Brussels, efforts to cut red tape are doomed to fail unless they target EU regulations. Open Europe argues that the UK Government needs a tough new approach to negotiations in the EU. A good place to start would be refusing to accept an end to the UK's opt-out from the 48-hour week, currently under negotiation. To read the full report, please click here. For the past ten years or so I have been travelling around the country speaking to clubs, groups and associations about European Union (EU) membership. On one occasion, about nine years ago, I spoke at a Round Table dinner in Somerset. After a splendid meal I began my 40 minute address. Within five minutes every person present had turned their chair around so that they had their backs to me. For the next 35 minutes I was studiously ignored and, at the end, politely helped to the exit. At about the same time I recall speaking to a Probus group in Devon where I predicted, amongst other things, that eventually the EU would require us all to have a licence for virtually every activity. I was laughed off the stage. In neither incident do I now think that the members of the audience were being intentionally rude. The fact was that they simply could not accept what I was telling them. Britain was about to disappear I pointed out. Regional government directed from Brussels, would replace Westminster. EU laws would govern us at home whilst foreign policy, including the deployment of EU armed forces, would be under the control of Brussels. Thousands of EU laws would change the British way of life. I realise now that at the hundreds of meetings I addressed very few people, if any, believed me. The reason for their disbelief is simple. Then, as now, and for the past thirty six years, the truth about EU membership has been deliberately hidden from the British people. It has been described as the elephant in the room that no-one mentions.In addition to downright lies one common form of deceit has been to present EU laws as being Westminster initiatives. There are countless examples of this, the following are just two. A couple of years ago John Major admitted that separating the management of the railway rolling stock from the management of the track had been a mistake. What he omitted to say was that this arrangement came from an EU Directive. Similarly, a while back the BBC Spotlight programme transmitted a piece about the diminishing herds of moorland ponies but failed to mention that one of the main reasons was the EU requirement for pony ‘passports’, making it financially unviable for farmers to maintain the herds. Gradually, however, the British people are becoming aware that the closure of Post Offices, the changes in waste collection, the proposed introduction of I/D cards, imprisonment without charge and a whole host of other measures are happening because Brussels says so. The elephant is stirring. Now, something truly significant is happening. Something that can’t be ignored by turning our backs on it or laughing at it. There is growing civil unrest by groups of British workers worried about losing their jobs. Although mass immigration never appeared in any party manifesto, the Brussels rules allow for free movement of people within the EU and this means 450 million foreigners have the right to come and reside in Britain. UK politicians have readily enforced this rule as a result of which Britain has been forced to accept millions of immigrants over the past few years. At the 2007 Labour Party conference Gordon Brown accidentally prodded the elephant when he promised ‘British jobs for British workers’. The simple fact is that Brown cannot deliver on this promise. The EU won’t let him. Brussels has decreed that those millions of immigrants our politicians have allowed in have the same rights, including the right to work, as British workers and many of them will work for a lot less. The British people are suddenly waking up to the fact that they are ‘Europeans’ first and British second. For millions of British workers this will result in the dole queue whilst foreign workers snap up those promised ‘British’ jobs. Whilst we are members of the EU there is nothing you or I (or Brown) can do about it, except obey. This is what it means to be a citizen of the European Union. It’s time to say hello to the elephant. Why would a group of people some of whom are UKIP members and PPC's and MEP candidates, seek to hold a meeting to harmonise groups opposed to the EU and then not widely circulate such a meeting, the organiser being a former senior party official? Why would they seek to swear those who know to secrecy, when surely the object should be to spread the word far and wide.? I ask these questions as that is what has happened. Why indeed? Are these people the so-called loyal supporters of UKIP that go under the banner of The Phoenix Forum and spend an inordinate amount of time causing trouble and disruption within the party to achieve their aims? Or are they perhaps one of the very, very few people in UKIP who thought that we should have taken the BNP's offer of an electoral pact seriously? That would explain the secrecy and the cryptic "former senior party official" statement. What I want to know and what I've asked these people myself on more than one occassion without getting a satisfactory answer is, if they're that unhappy with the way the party is being run that they will go as far as sabotaging its reputation, why are they still members? 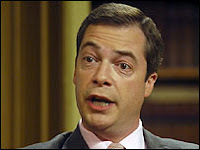 Why not leave and form their own party or join another, smaller eurosceptic party that they'll have more influence in? "British jobs for British workers" simply cannot happen while we're still in the prison of nations that is the European Union. For we've signed away, without any consultation with the British people or, whisper it if you dare, any vote or referendum on the subject, our right as a country to decide who comes to this country or who works in this country. We can all pore over the provisions of the Posted Workers Directive if we choose, agree with the Lindsey workers or not as we wish, but the basic fact is that the government, Acas, unions and hundreds or thousands of angry workers cannot have any effect upon the situation. For it is the law, confirmed by the highest court that applies to us, the European Court of Justice (ECJ), that this is so. The Laval and Viking cases are simply confirmation of how the unions themselves were sadly hoodwinked by Jacques Delors. He promised them a "social Europe" and they thought that was what they wanted. What's come back to bite them is that the Europe on offer is not what they thought. The absolute free movement of labour is what is on offer and there's no way of changing that without leaving the EU itself. The ECJ rulings are not mistakes: they are the aim, the purpose. To stop any country, any nation, from deciding who may live or work in that country or nation. We must all be Europeans now and any dissent, any action that might change or threaten that has been made illegal. This point is a great deal more important than those few hundreds of jobs that have brought thousands out on wildcat strikes. You may have noticed that there are huge infrastructure spending plans in the works. Tens of billions of pounds, possibly hundreds of billions, for a Severn Barrage, windmills on every mountain top, the insulation of every house, the Olympics. At least half of the argument for these spending plans is that they will mitigate, even end, the recession, that millions of jobs will be created for the willing British worker to do. But given our EU membership we cannot in fact ensure this. We must tender such contracts out right across the union, we cannot even prefer our own companies or people, let alone insist that our tax money should be spent on our own. When the very point of a fiscal stimulus is to provide an alternative to rotting on the dole it beggars belief that we'll be spending British taxes on foreigners' jobs. As we will be, for we already know that one third of those working on the Olympic sites are indeed foreigners. There are those who say that to raise these points is xenophobia, that there's some heinous sin of protectionism being committed in simply pointing out the truth. But even that apostle of free markets and opponent of protectionism for either goods or labour, Milton Friedman, pointed out that you cannot simply open the floodgates one bright and sunny day. Huge changes like this require time, a certain management, otherwise society itself will fracture under the stress. Which is why we in Ukip call for two things. Firstly, a cap on the total number of inward migrants. How many can we absorb in: not that people cannot come here to work, but how many can we as a society cope with coming? The second is that there be a system of work permits. Again, we don't want to either stop or dissuade those whose skills we desire, we just want to be able to make sure that it is those with the skills that we desire and need who come. Neither of these things are possible while we remain in the European Union, so they are both simply two of the many reasons we argue that we must leave. Reform from within is not going to be possible. They didn't listen to the Dutch or the French on their referendums, they're not listening to the Irish now and they'll not listen to anything that we say while we stay in. Only by leaving can we control our own destiny once again. There are of course those who say that there is nothing wrong here. Like Lord Mandelson: well, he would say that wouldn't he? Instead, Mandelson declared that he received a ministerial salary and a transitional £78,000 a year EU allowance following his decision to quit the trade commissioner's job and return to the cabinet. Not only is he getting that £78,000 a year, he's also due a conditional pension, the whole package being worth £1m. To get that cash he's got to continue to uphold his oath as a commissioner: that he'll continue to support the aims and the objectives of the European Union. Thus the "move along now, nothing to see here" nature of his remarks on the issue. They would rather we didn't see that we've lost control not just of our own country but of our own fate. While this is satire the basic point holds. There'll be some fudge, some symbolic act and victory will be declared. But the underlying reality, that we've parcelled up our right to govern ourselves and posted it to Brussels will remain. We're simply not in charge of our own country: all we're asked to do is pay for it without being able to influence what happens. British jobs for British workers will only be a possibility when Britain is ruled by Britons again. When we leave the European Union and become a free and independent nation, when we who live here are able to decide what are the laws here, something that is the very essence of the democratic ideal.